A new office building with underground car parking is being constructed on a site of a former car showroom and vacant industrial premises to form the new headquarters for Stockport Homes. The car showroom is locally listed and is also located within a Conservation Area, so justifying the loss of the building was critical to building the case for development. Balanced against the loss of the building are the significant benefits associated with the scheme coming forward which include employment opportunities, the creation of a ‘Civic Quarter’ within Stockport Town Centre and the enhancement of the A6 Corridor. During the summer Stockport Homes will be moving to their new head office on the Edward Street. The new office will mean that all the teams will be based in one building working closely together to deliver excellent services for customers. The reception area will offer great facilities for visitors, including access to computer equipment, web access and a coffee shop. The new headquarters is being built by Eric Wright Construction which LDG Contracts are proudly working alongside to install 16 Curtain wall screens, 132 Aluminium windows and Aluminium doors on this well-established superstructure. Preston fabricator Lancashire Double Glazing has just invested in an SMR-4 Four Head Welder from Haffner Murat. Mark Noble, the company’s Production Director, said: “This investment will help us to continue with manufacturing an excellent quality product and at the same time reduce production time.” Lancashire Double Glazing invested in the SMR-4 after researching the market to find the machine that would best suit its requirements. It’s the first machine that the company has purchased from Haffner and Mark was impressed with what it had to offer. Not only is it the most accurate welder on the market today, it’s also up to four times faster than conventional welders. Aside from the speed and accuracy, Mark has also been delighted by how easy the machine is to use. “It’s a very user-friendly machine that takes away a lot of the thinking that comes with welding. There’s a touch screen showing you the welding combinations and the transom support centraliser and it’s very easy to change the blocks, which is a big benefit.” Like all Haffner Murat’s new machines, the SMR-4 comes with a two year guarantee, a factor that Mark appreciated. “We can see that the build quality is excellent, but the two year guarantee gives us extra peace of mind that our business is protected.” Lancashire Double Glazing will also benefit from Haffner Murat’s team of experienced service engineers who will minimise downtime, in the unlikely event of an outage. Lancashire Double Glazing is based in Preston and is one of the largest home improvement companies in the North West, with over one million frames manufactured and installed in over 225,000 homes. The company’s reputation precedes it and over 70% of new business comes via referral. It’s a perfect example of the way Haffner Murat’s products and service help fabricators move to the next level. LDG Group Ltd, one of the North West’s largest window companies, has once again been the provider of glazing solutions to a prestigious development, this time, student accommodating in Sheffield Century SQ, takes student living to a whole new level with stylish interiors, spacious bedrooms, large social spaces and quiet study zones, including an onsite gym and cinema room. Located on Radford Street, Sheffield, the high standard of new student accommodation is just minutes away from the University, giving them all the entertainment of the City, right on their doorstep. The prestigious student accommodation scheme, prides itself for being part of a robust student City, with a strong student accommodation presence. The location not only means entertainment on the doorstep, but also helps boost the city’s economy and the strong and robust student accommodation market. 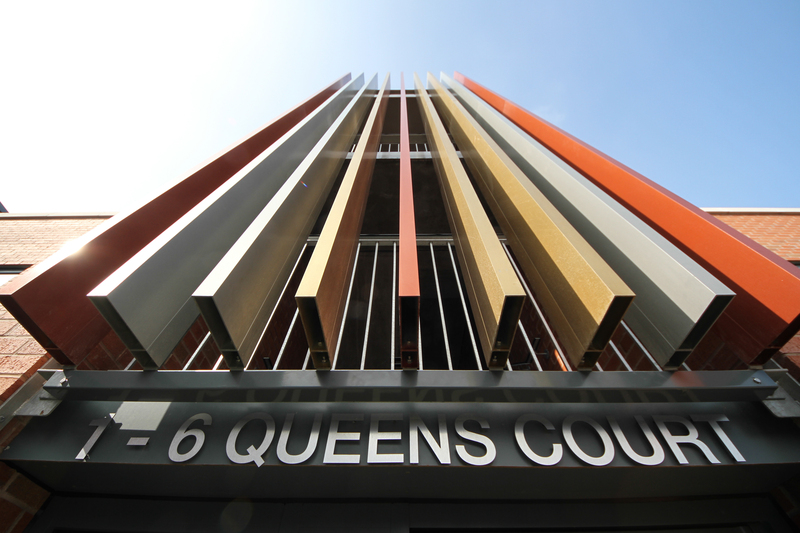 The scheme which was branded Century SQ, provides a mix of 130 bedrooms together with a range of communal facilities. LDG Contracts designed, supplied and installed 700 Technal windows, 28 Curtain Walls mixture of MX/MX toggle and 9 doors, with a contract value of £850k. The Main Contractor, Marcus Worthington and LDG Contracts are proud to say that to date; we have now completed 7 major developments for them of which all had a value in excess of 500k. 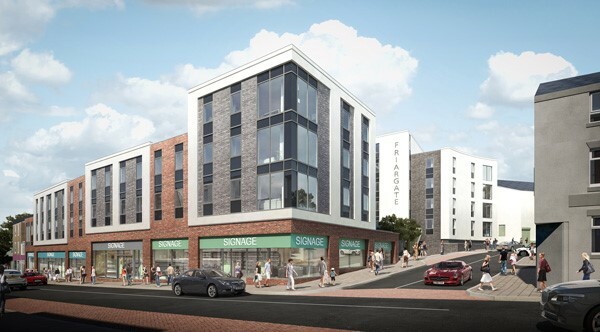 Just recently due to the excellent service, quality of our products and expertise in the market place, we have just recently received another contract for Marcus Worthington for Marsh Lane Student accommodation development, based in Preston. Marcus Worthington is an excellent client to work with and for and have a great understanding, when it comes to the requirements and needs for any superior build. The LDG Group has been established for over 30 years and has built a successful business on the back of the company’s commitment to quality, service and the high level specification requirements, which has provided some of the region’s leading residential, leisure, retail and large construction companies. Lancashire Double Glazing specialises in the retail market and LDG Contracts specializes in the commercial market making up the LDG Group. The group are market leaders in the design, fabrication and installation of aluminium and PVCu products including curtain walling, window systems, entrance systems, shop fronts and patent glazing. LDG now employ over 200 staff and has its own 60,000 sq.ft. manufacturing facility, all on one site based in Preston. The LDG Group was established in 1994 following the successful merger of Lancashire Double Glazing and LDG Contracts and is probably one of very few companies in the Country who make, paint and manufactures aluminum products, fabricate UPVC Windows, doors and conservatories and can now supply their own sealed units. 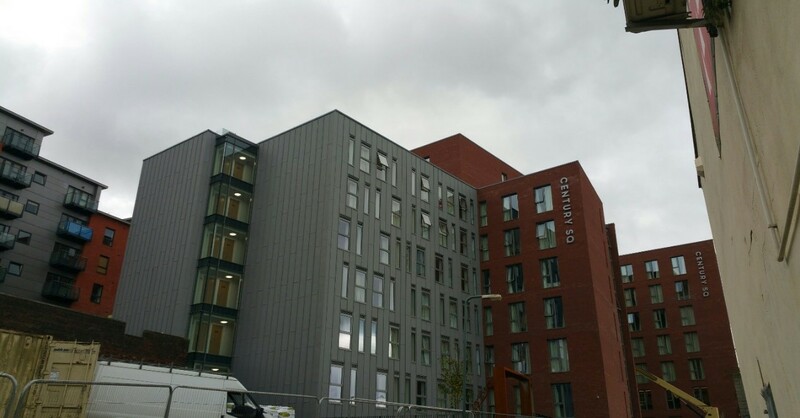 LDG CONTRACTS complete Preston’s ‘State of the Art’ Luxurious Student Accommodation. The transformation of the strategic 1.5 acre site has brought two new retail premises and the creation of a 244 bedroomed building, aimed at providing Boutique Hotel Style Accommodation to students at the nearby University of Central Lancashire (UCLAN). The aesthetically pleasing shop and apartment complex, has been designed around open garden areas, whilst being conveniently located in the heart of the City.